Do you own and operate a business out of your home? Need a street address instead of a P.O. Box? Don’t have an actual office but still need a place to receive mail and packages? 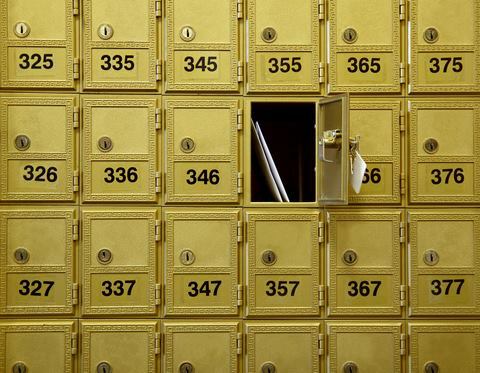 Whatever the reason may be, Mail Bank has mailboxes available to rent for both business and personal use. Don’t waste your time and gas if your mailbox is empty. Give us a call and we’ll let you know what’s here. We’re open seven days a week so you can pick up your mail and packages at your convenience. We can even accept C.O.D. packages for you. Do you travel for business? Are you retired and split your time between Albuquerque and your second home? We offer mail forwarding for your convenience. You can call from your destination city and have us send you your mail or arrange to have your mail forwarded on a schedule. Whatever you choose, we’ll get your mail to you when you need it there. If you would like to rent a mailbox, simply come by the store, complete the form and provide identification. You can walk back out with the key to your new mailbox the same day.